Pastor Angelia Waite is a licensed and ordained minister holding a Master of Divinity from King’s University in Van Nuys, California. She is passionate about providing an arena for theological teaching. She focuses on those whose spirits demand deep, factual answers, and her passion and drive for deeper understanding of the things of God is contagious. She is truly a hope giver, and has a huge heart for helping people through the unexpected challenges of life. 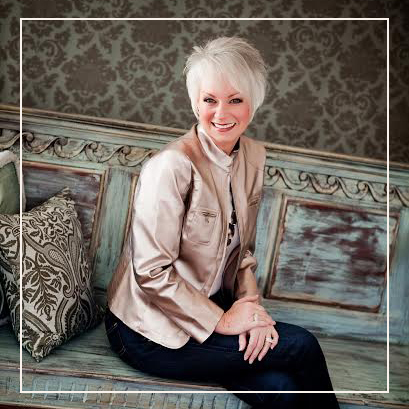 Angelia is a wife, mom, speaker, author, mentor and Bible teacher. She has been happily married over 30 years to her high school sweetheart, Dr. Jay, a veterinarian in private practice. They have three sons: Benji, Chandler and Ramsey. Ramsey, Jay and Angelia's youngest son, drowned in May 2000 in their backyard pool at the age of 3 1/2. It was in this darkest hour where their theological foundations were revisited and cemented. This led Angelia to found Ramsey’s Rescue, a non-profit organization, in her son’s honor. Ramsey’s Rescue targets the physical and spiritual care of little ones who have been abandoned. It is the goal of this ministry to provide food, clothing, education, medical, a safe, and loving home, and hope. Proceeds from her first book, BombPops,® Blow Dryers, & Butterfly Kisses, detailing the horrific incident and the journey towards healing that followed, is dedicated to all the hungry tummies, tearful eyes and broken lives of little ones that will be touched as a result of abandonment. The primary funding for Ramsey’s Rescue is from book sales and speaking engagements.